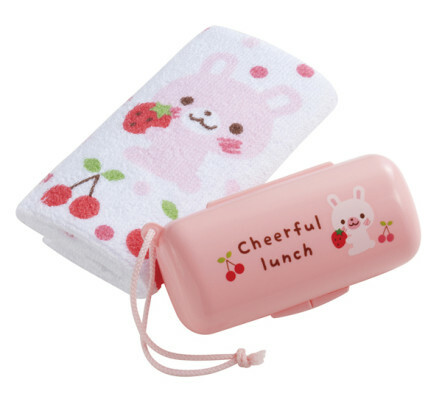 This very cute Bento Pink Bunny Snack Container & Towel Set is a great little container to hold kids snacks & Bento style sandwich shapes! 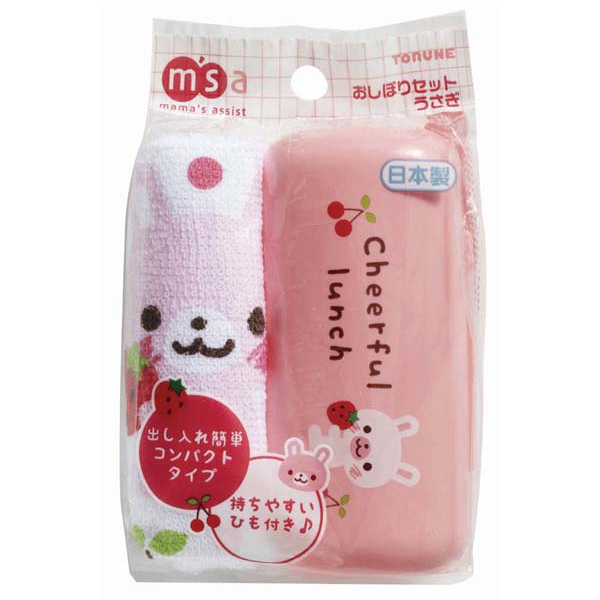 Includes a 30cm hand towel. 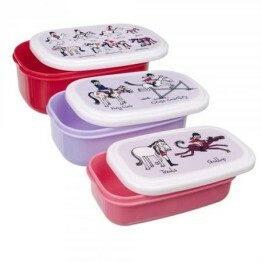 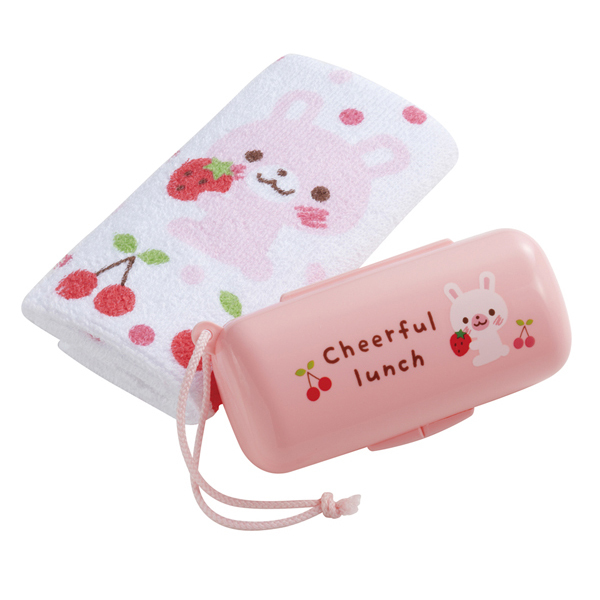 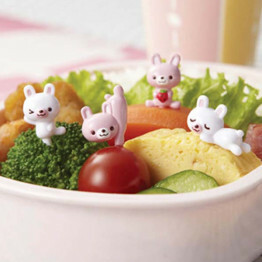 Kids & parents will love this Bento Pink Bunny Snack Container & Towel Set to make lunch time fun!